We develop adult learning strategies and provide Andragogy-centric education consulting for companies. We help people and companies in their work with educational programmes for adult learning. We stick to andragogy paradigm, but are also open to work at nexus of LLL & pedagogy concepts if they put adult learner a free choice and development at the priority. If you already have an educational program we can help audit it or develop new approach to the program assessment. We can pay you a visit and reveal whether your office environment suits your educational methods (offline) or redesign interface of your online educational system. Implementing new methods of educating & suiting them for a particular case. We can help your make your current educational program more learner-centric and update it up to pull-learning practice-based methodology in any sphere. We design in-service learning programs that can be implemented without working process interruption. We can create and customize a knowledge&educational base personalized for your company's aims. Here you can find the most used definitions of Andragogy. subconscious way of learning, that is happening unawares to our brain, but which can be automatically done well by the brain. A.l. is acceptation based, when a learner accepts existed methods of education. the art and science of helping adults learn; the theory, methods, and activities involved in teaching adult learners. any learning that supports students in applying their knowledge and conceptual understanding to real-world problems or authentic situations where the instructor directs and facilitates learning. an environment created by human individuals which focuses on mutual development and growth and help to find, build and interact professional connections. way of educating based on learners’ participation and active action in educational process which is motivated by necessity to find a solution to existing problem. an educational practice based on students’ interaction to attain educational goals. learner-centric way of educating based on the Adult Learning Theory and is structured on the learners' decisions and preferences about studying, their relationship to the meaning of the content, and the ultimate value of the curricula. A formal, teacher-centric learning system, based on an outside source or authority selected curriculum. a process by which individuals take the initiative, without the assistance of others, in diagnosing their learning needs, formulating learning goals, identify human and material resources for learning, choosing and implement appropriate learning strategies, and evaluating learning outcomes. We are glad to welcome you on the official page of Dedu Center. Here we'll post all out updates and news. Check out our official pages on Facebook and Instagram to be the first to know about our lectures, journeys and helpful tips for adult learning. Scroll down to find out our recent news. Tomorrow, September 4th we are to give a pitch about «Dedu center» at Vector Project Review, held by Vector online school for urban entrepreneurs, that bases at Strelka Institute (Moscow). Very excited to present our project idea to the leading experts of the start-up industry and waiting for their review! 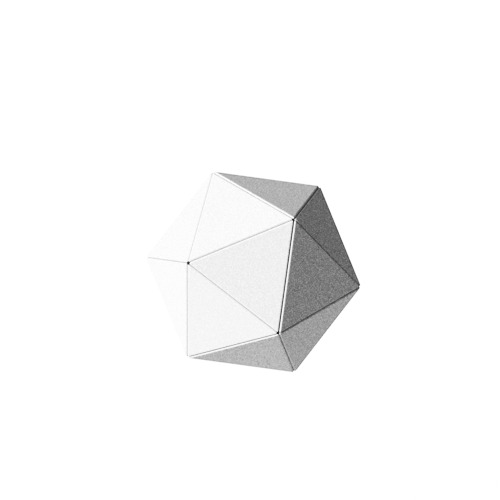 Monday, September 4th, we took part in Vector Project Review at Strelka Industry Institute. The main idea of the event was to give no longer than a 5-minute speech and receive feedback on your idea from the industry experts. Next week we’re flying to Brussels to take part in Younger Staff Training, held by European Association for the Education of Adults. EAEA is the voice of non-formal adult education in Europe with 142 member organisations in 44 countries and represents more than 60 million learners Europe-wide. This year the training will focus on three separate areas: policy and advocacy, reaching out to new learners and communication as well as non-formal teaching methods in AE. All the next week we'll dedicate to the events of the training and every day since September 19th we'll make a live stream hour on our social media channels. While studying we discovered the workplace learning methods and today we help Yandex.Taxi Department of Marketing implementing workplace learning principles to the process. Learn more about workplace learning - check the ABC of Andragogy. 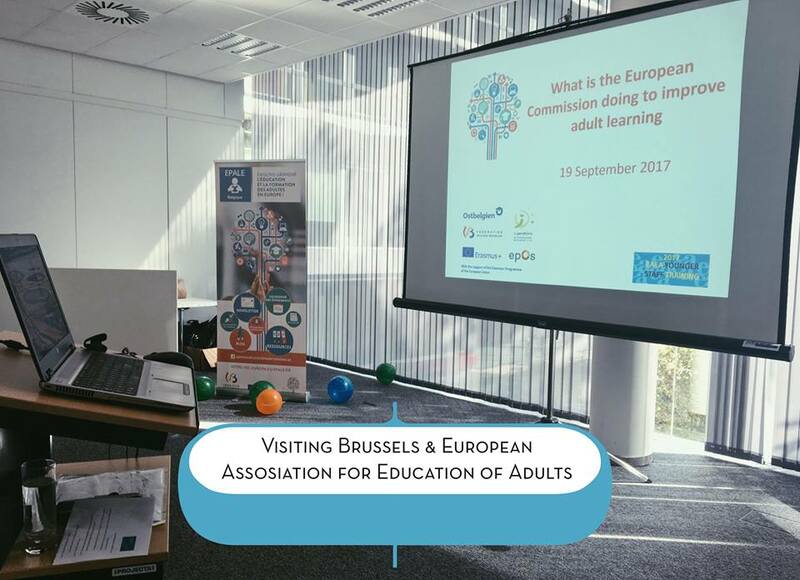 Finally, we're glad to share our experience of taking part in Youth Staff Training in Brussels by European Association for the education of Adults that took place in Brussels in late October 2017. 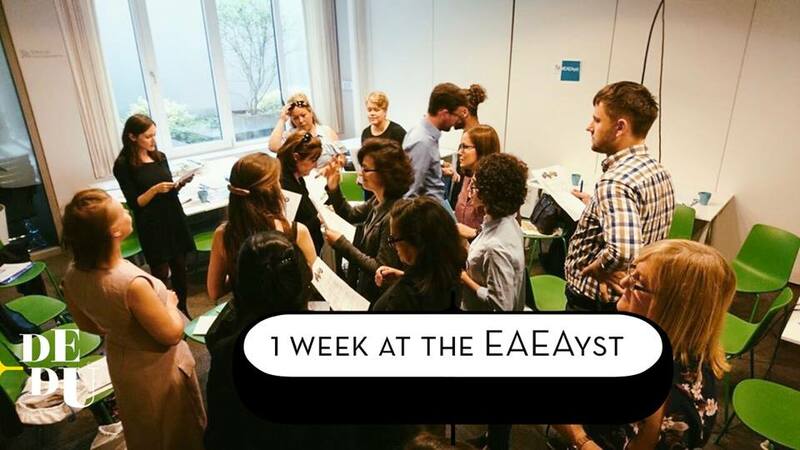 Since 2011 the training has been supported by the European Union Parliament and has become a launching pad for adult education professionals, uniting participants from across the Europe and giving them an opportunity to forge new connections and partnerships. This year the training focused on specific methods of adult education, which vary from country to country, and priorities of learning in EU. Also, we were lucky to hear Gina Ebner, Secretary of the European Association for the Education of Adults speaking of educational policy in different countries and we made a mapping of adult educational methods diversity. Next week we're taking part in "Rost" forum that will be held in Vladivostok on November 3-4. We'll travel to the Russky Island and speak about how education changes life of an adult and share our experience on developing marketing strategy for small business. "Rost" forum is one of the major business events in the Far East that unites young businessmen with successful leaders of the industry. Find out more on Rost Forum.